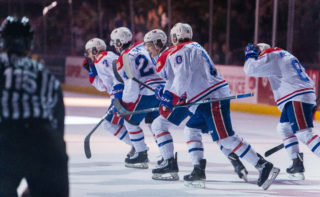 SPOKANE, Wash. — The Spokane Chiefs made it back-to-back victories on Friday night as they shut out the visiting Kelowna Rockets by a score of 4-0. Goaltender Reece Klassen picked up his first WHL shutout while rookie Adam Beckman scored twice to lead the offense. A clean first period that saw more goals than penalties featured Jake McGrew’s 21st score of the season for Spokane at 8:02 to make it 1-0. The San Jose Sharks prospect circled from behind the net into the left circle before snapping a shot inside the far post to make it 1-0. 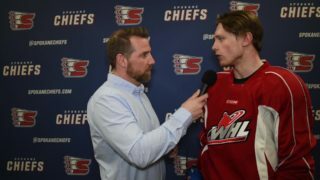 The Chiefs fought through two Kelowna power plays in the second period to eventually score an even-strength goal off the stick of Beckman at 15:55. 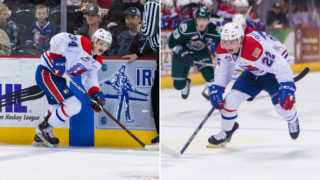 The goal, scored on a breakaway snipe from the left wing, was Beckman’s 20th, marking the fourth Chiefs player to reach the 20-goal threshold this season. 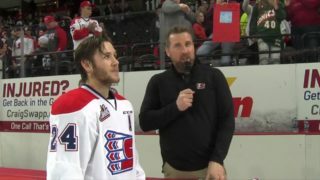 Spokane added a pair of goals inside the first four minutes of the final period, from defenseman Nolan Reid and Beckman’s second of the night. The Chiefs preserved the shutout for Klassen down the stretch, allowing only six shots on goal in the final frame. Klassen ended the night 25-for-25 in the net while James Porter, who played 36:49, was 13-of-15 for Kelowna. Roman Basran came on for Porter in relief and played the final 23:11, stopping 15-for-17. Both sides went 0-for-2 on the power play. 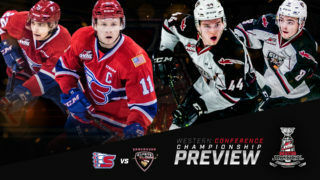 The Chiefs hit the road for a pair of games before returning home for a three-game homestand that opens with the Victoria Royals on Friday, February 8. It will be Washington’s Lottery Night with fans eligible to win prizes courtesy of Washington’s Lottery all throughout the night’s game! It will also be another Fred Meyer Family Pack Friday with Fred Meyer rewards card members able to purchase a ticket to the game, hot dog, and Coca-Cola product for just $15/person (min. 2 people)! 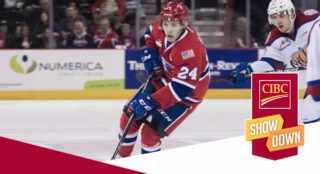 Tickets for Friday and all Chiefs home games are available in-person at the Chiefs’ Ticket Office or over the phone at 509-535-PUCK during regular business hours, or online at spokanechiefs.com.